The third and final Escape Room we visited in Edinburgh was Escape Edinburgh. 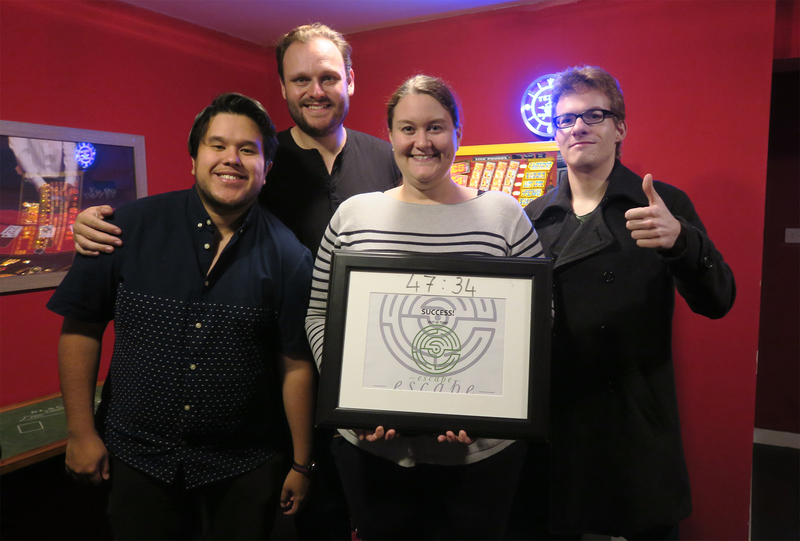 They claim to have been Scotland’s first Live Escape Game company. We were very curious what kind of game to expect from a company with that much experience. What we found was surprising, so let’s start the Review. 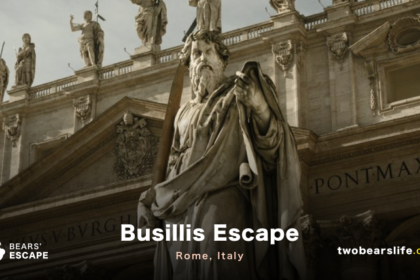 Our experience with Escape Edinburgh started on an exciting note. During our dinner, we got a call that they had a bunch of cancellations and we could always swing by earlier if we wanted to. Escape Nerds like we are, we assumed we take the chance, finish dinner as soon as possible and head over to the location in Haymarket, so we may be able to play two games instead of one. But more about this topic later. 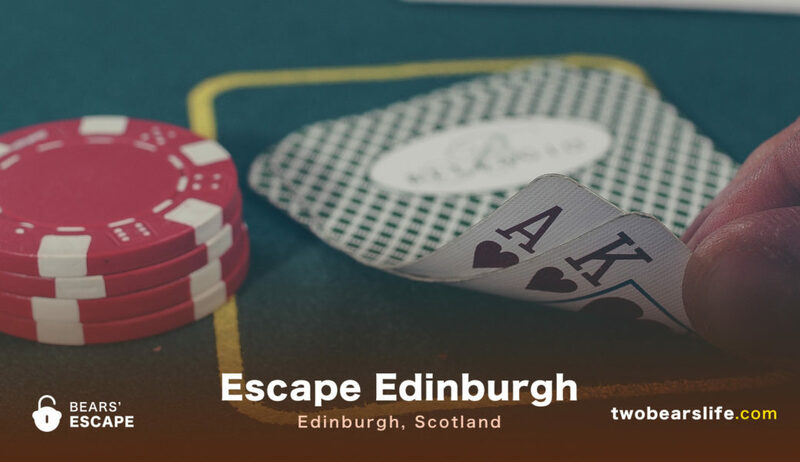 Escape Edinburgh actually has two locations in Edinburgh. The one we had our booking in was the Haymarket one, which meant we had to take an Uber to go there. I already read in the booking confirmation that Escape Edinburgh Haymarket is located in an old cafe called “Noughts and Coffees”. 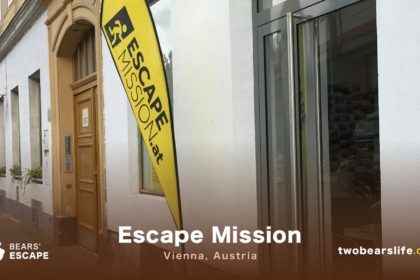 But I did not expect to just see the sign for the (closed down) coffee shop and not a single sign clearly indicating the existence of the Escape Room inside. In fact, the whole place just looks like a closed down coffee shop. To be fair, it was already getting dark, so we may have missed something – but the signage could be way better. Anyways, after figuring that out, we were welcomed by our friendly game-master. She quickly took us to our game in the basement and we started the Escape Room Game “Escape Casino” shortly after. 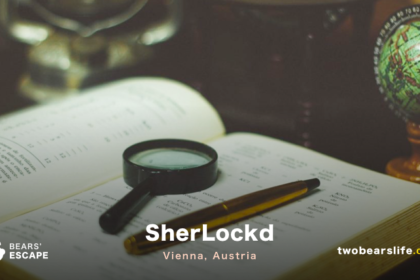 The tagline above is the room description from their website and thats as much information as we got (as well) when we started the game. The goal is to rob a Casino, which means you will have to find at least 10 chips. After you have found those 10 chips, you are able to leave the room. On the other hand, there are 15 chips in total in the room. So you can decide to gamble and look for all of them. Additionally, they also turn off the game clock, so you never know how much time is left. Sounds confusing, right? We never really understood that weird twist either. What happens if you leave with just 10 chips? I mean, the goal is to rob the Casino and get out, right? But if you stay longer, than the time runs down without you seeing it. You gamble with the game and the ability to actually finish the game. But .. why? That twist did not work for us, since it was pretty confusing and we just stayed in the room because we wanted to find all chips. Anyway – back to the game itself. 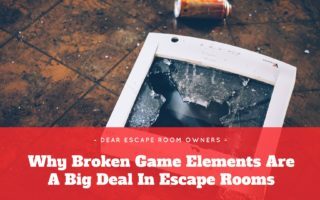 You get locked up in an office with a “gazillion” four-digit padlocks, the tv screen on which you get clues from the game master, a door and a desk. From this time onwards, your job is to open one lock after the other to find all the chips. There is a second room which has more casino themed installations as well. In the end, we opened all the padlocks, found all the chips and made it out in time. Did we really enjoy this game? Sadly, the whole team agreed on “Not really”. 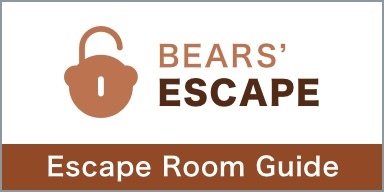 First of – it has to be stated that we only played one of the games Escape Edinburgh offers, so we have no idea if the other rooms are of better quality. Nevertheless – we focus on the room we played, and sadly, we did not have a good experience. There was simply so much wrong with this room. First of all, all you do is hunt for four-digit codes for all the padlocks. But there are so many of them and you don’t even know which code belongs to which padlock. So you end up trying all codes you find on all the locks you have not yet opened. That is simply bad game design and annoying. In general, we had some problems with the way we had to come up with the numbers, since it did not always make sense (to us). For example, there was a safe in the second room and the description of how to use it indicated five numbers. But you just needed four numbers to open it. But of course we tried those fours numbers on the left-over four-digit padlocks, where it did not work. We only registered to even try it on the safe when the game-master pointed it out to us. On a side note – the room was really dirty. It looked like they use this room as a party room on the side or they just never clean it, whatever the reason, it should not be that dirty. Remember we wanted to play a second room because we arrived earlier and there was still another room open? After our game, the game-master told us that the booking system did not allow them to offer as another room, so we went home after “just one”. On the bright side, we were kind of glad about saving the money. Sadly our experience in Escape Edinburgh was not a good one. 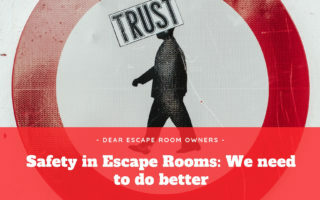 Escape Casino is an excample of what Escape Games should not look like. With a gazillion four digit padlocks and not even a color-code or some other guidelines to connect the codes to a specific lock, you just end up trying the codes on all the locks. The location is a closed down coffee shop with no work done to make it look nice and the room itself was pretty dirty. The staff was nice, although our game-master clearly disappeared at the end of our game and did not respond to our questions for quite some time.